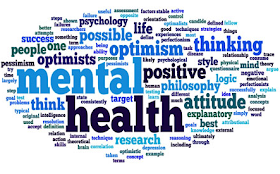 Dr. Jibril Abdulmalik, psychiatrist at the University Hospital in Ibadan, Oyo State, said as many as 20 million Nigerians are at one point at risk of mental illness. Abdulmalik made the statement Thursday at the first national mental health discussion at the Oriental Hotel, Victoria Island, Lagos. The event, "Young People and Mental Health in a Changing World," was organized by Mindplus practitioners on the occasion of World Health Day. Regarding the "threat to drug dependence among adolescents," Abdulmalik noted that peer influence is one of the reasons that adolescents are addicted to drugs and that many of them suffer from a mental illness. However, he disapproved of the attitude of some Nigerians who have difficulty in drawing the line between what is medical and what is mentally ill.